Get out of town with these interesting Saariselka side-trips: Inari (Siida, Pielpajarvi Wilderness Church, & more). 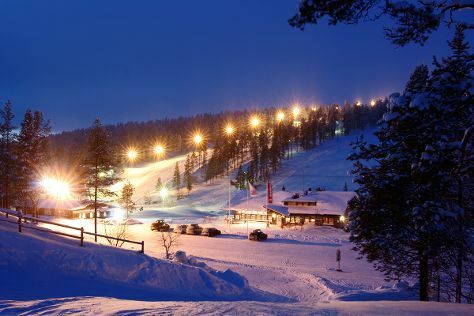 On the 1st (Fri), spend an exhilarating day on the slopes at Saariselka Ski & Sport Resort. Spend the 8th (Fri) exploring nature at Lemmenjoki National Park. To see traveler tips, photos, ratings, and more tourist information, refer to the Saariselka trip itinerary site . February in Saariselka sees daily highs of -6°C and lows of -15°C at night. Wrap up your sightseeing on the 8th (Fri) to allow time to travel back home.